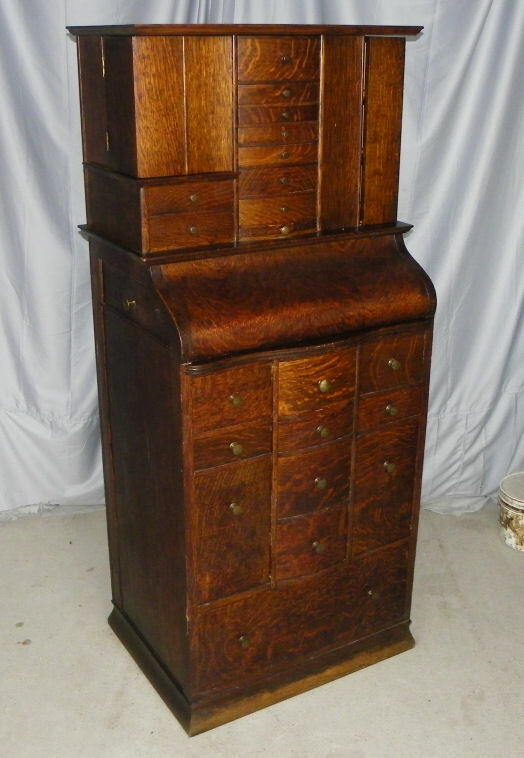 This quarter sawn Oak paneled file cabinet is in good original finish. The files four drawers are all legal size and have brass handles. Made by Shaw-Walker Co Muskegon Michigan. Came from a law office in Fairbury, Nebraska. Measures 21″ width, 51 1/2″ Height and 27″ depth. Interior of drawers 15″ x 10″. Circa 1900.